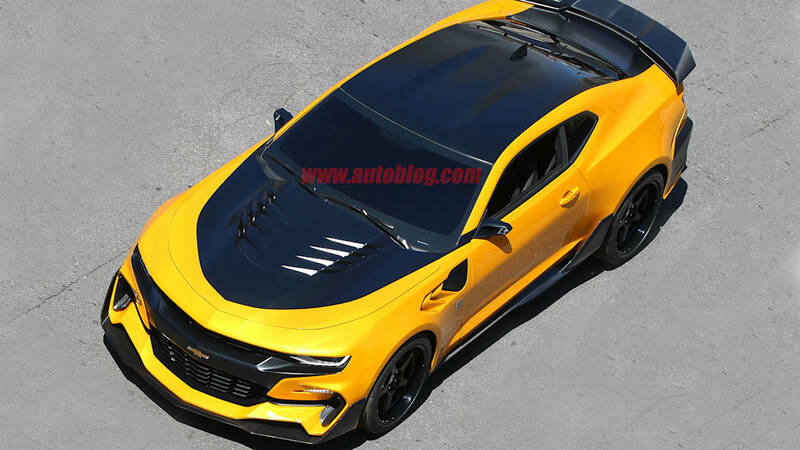 The fifth installment in the Transformers series, Transformers: The Last Knight, arrives in theaters next June, but you won't have to wait that long to see two of the star cars. 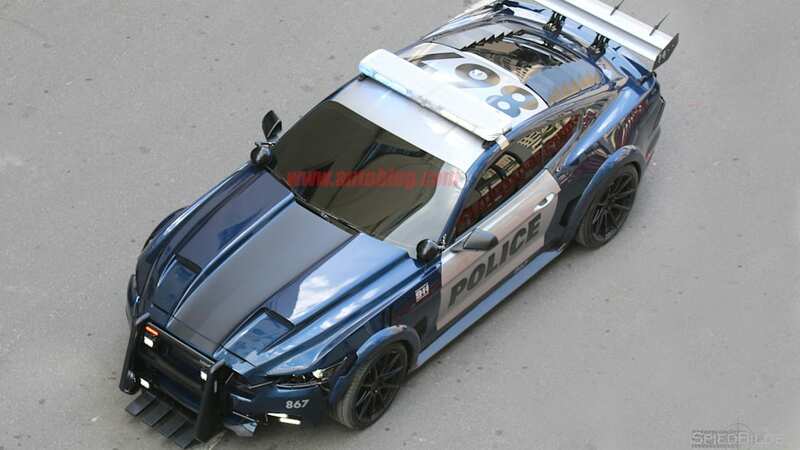 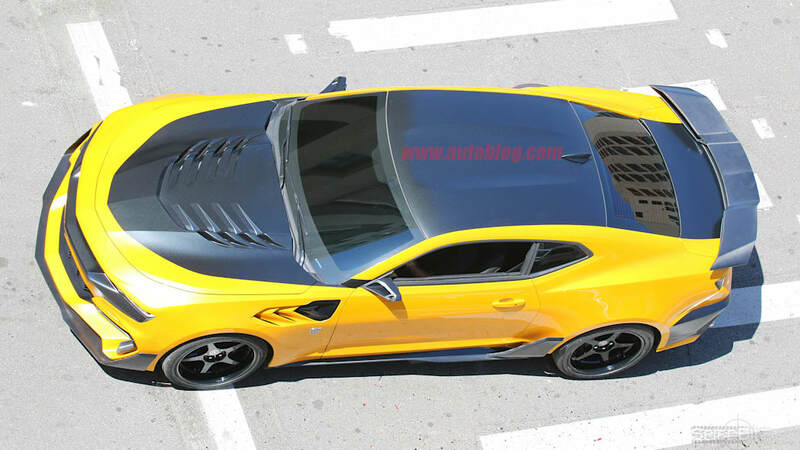 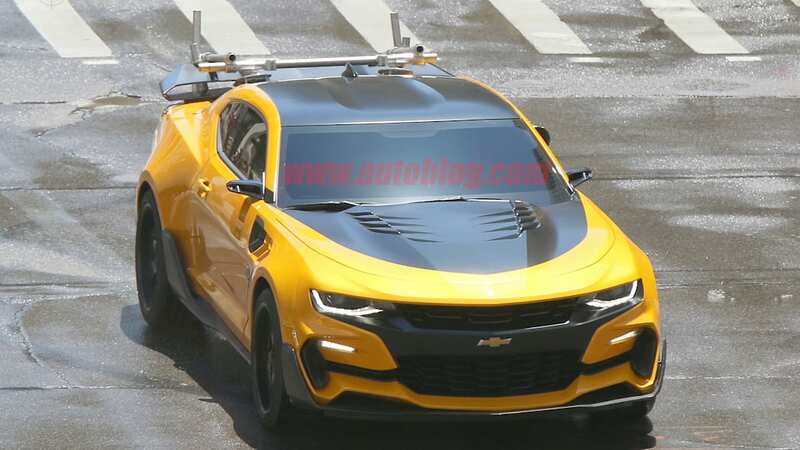 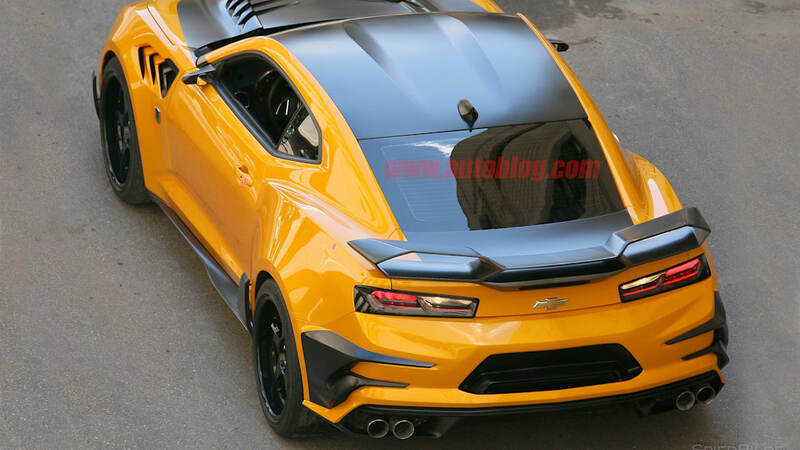 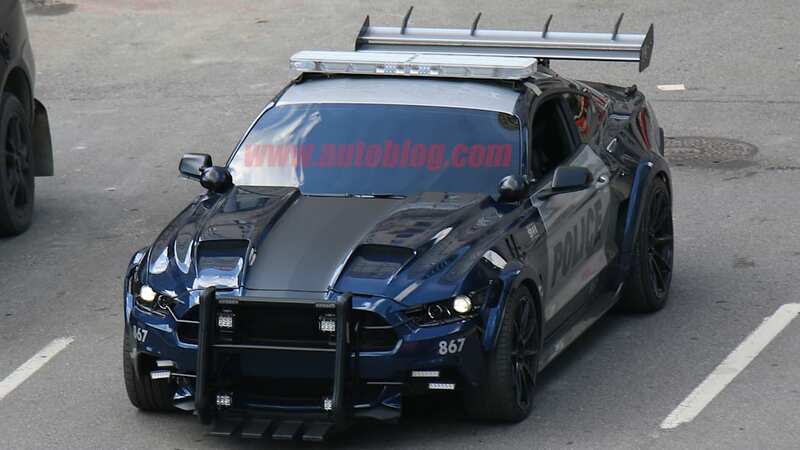 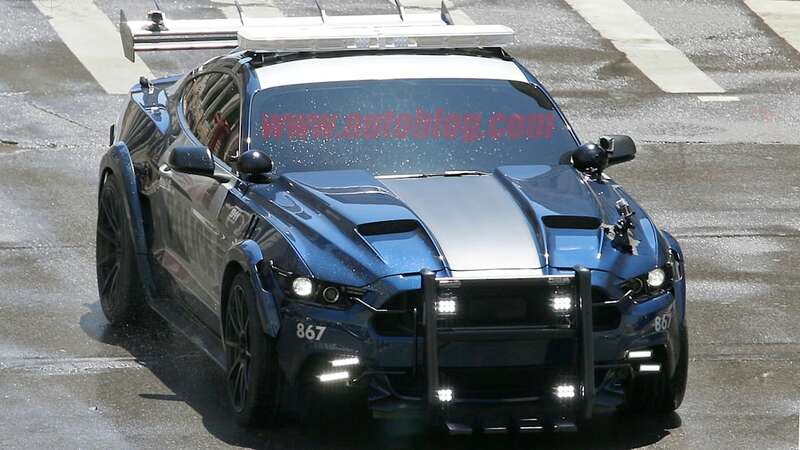 Thanks to our spy photographers, we have the best look yet at Bumblebee, an Autobot who takes the form of a Chevy Camaro, and Barricade, a Decepticon who prefers to be a Ford Mustang police car. 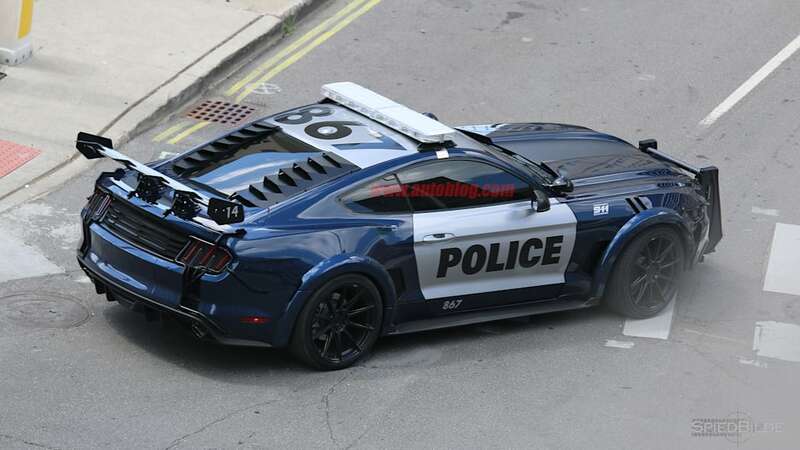 The two characters have been around since the first movie, but have undergone significant changes over the years. 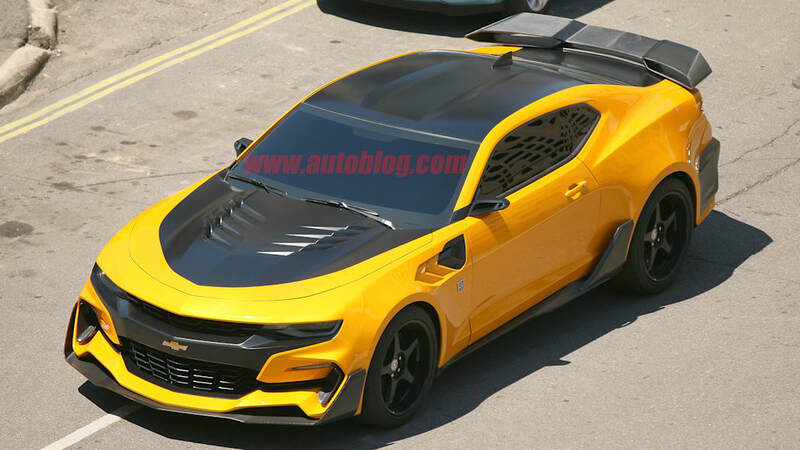 Bumblebee is a modified 2017 Camaro. 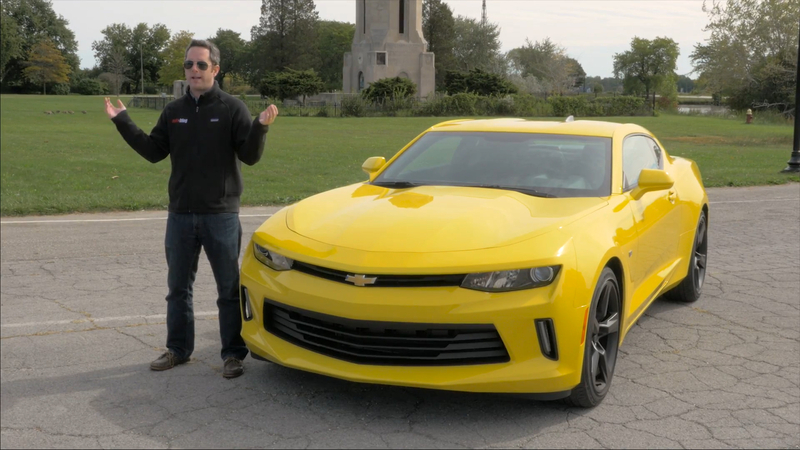 The biggest difference is in front where the grille is much larger, plunging down to the lower half of the fascia. 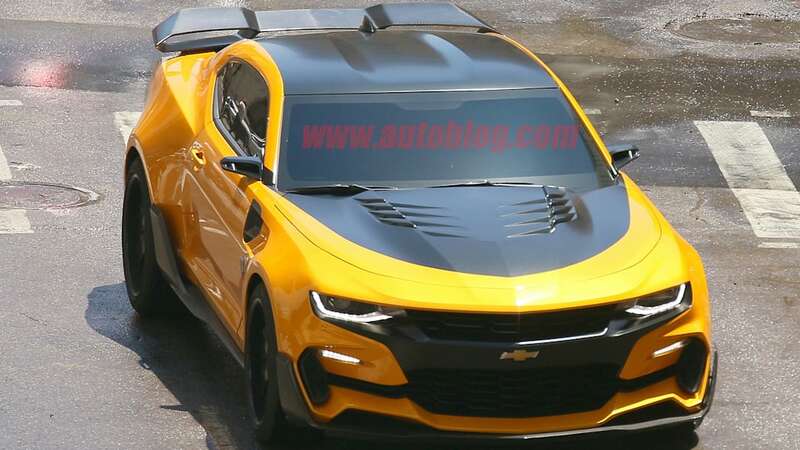 The grille somewhat resembles those of other Chevy models like the Malibu and Colorado. 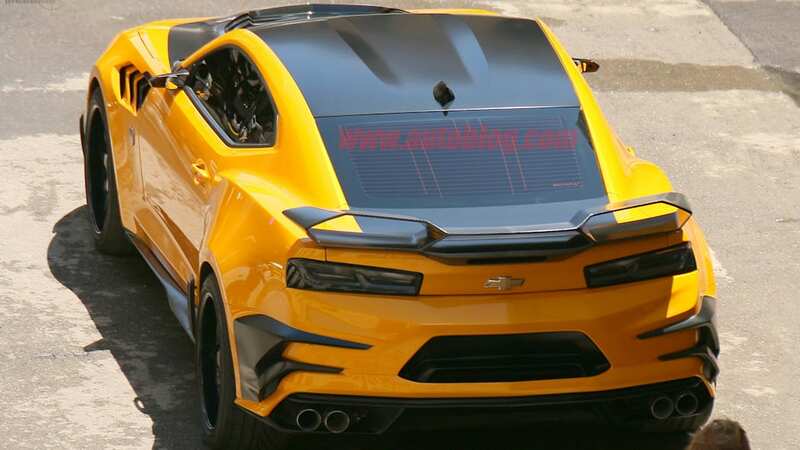 Bumblebee also features many vents and aero parts of questionable effectiveness. 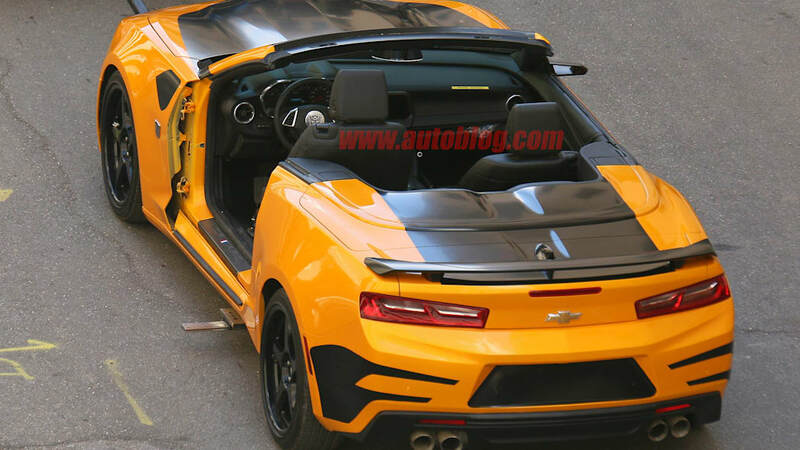 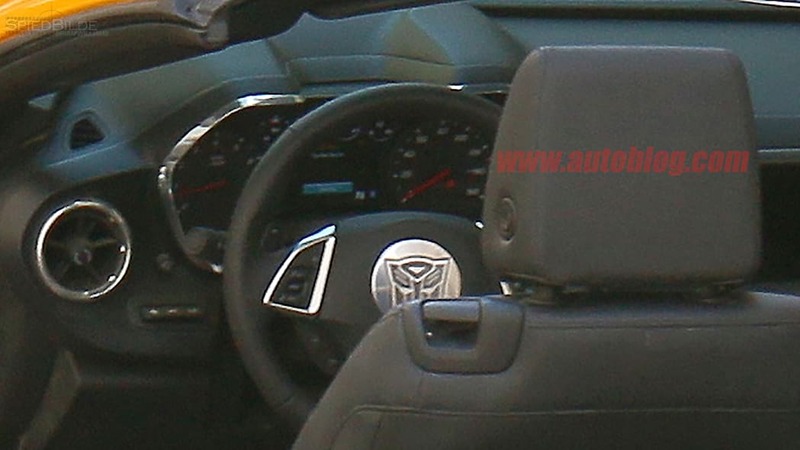 It also looks like Bumblebee will have a convertible variant this time out. 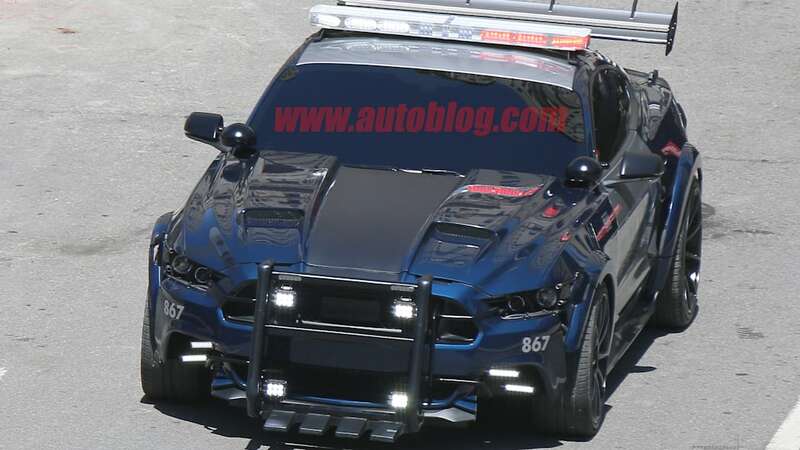 Barricade on the other hand has more similarities to his production counterpart. 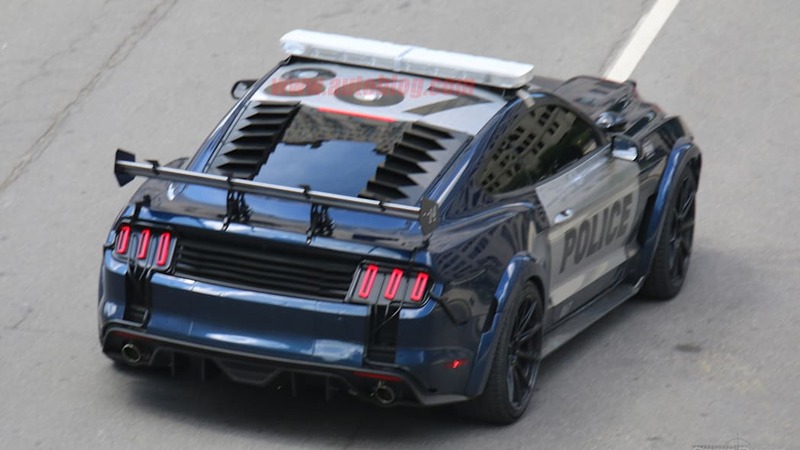 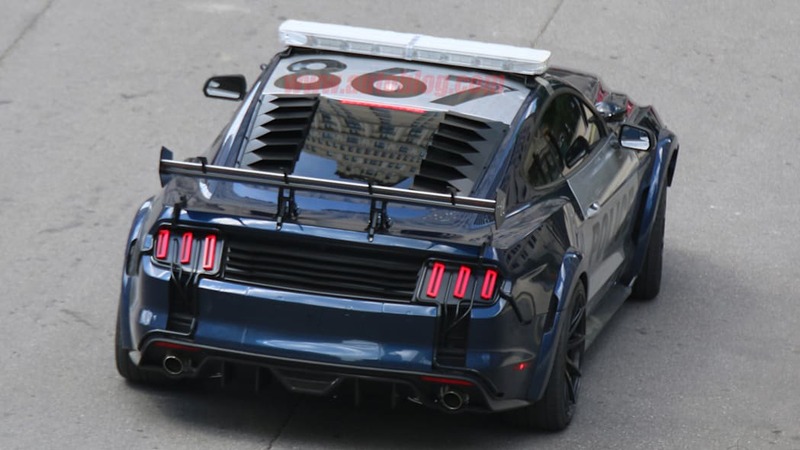 But this Mustang has an aggressive wide-body kit, push bar, and a huge aluminum wing with some spiky protrusions. 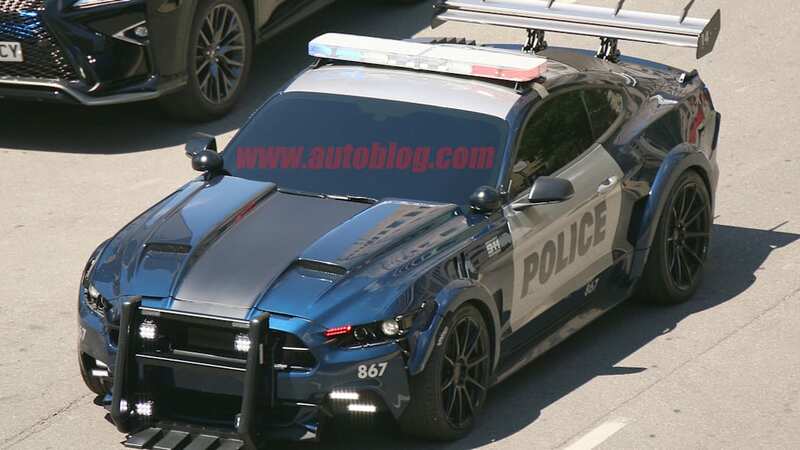 And of course it features plenty of lights, as any police car should. 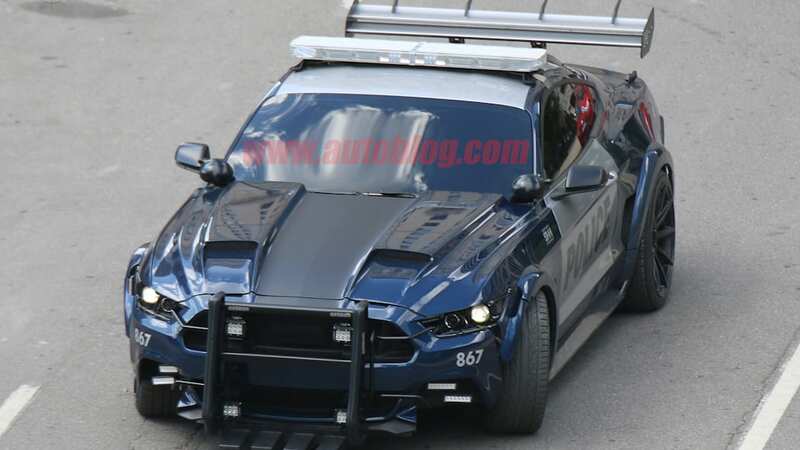 These cars are wild and are sure to have some other radical companions in the movie. 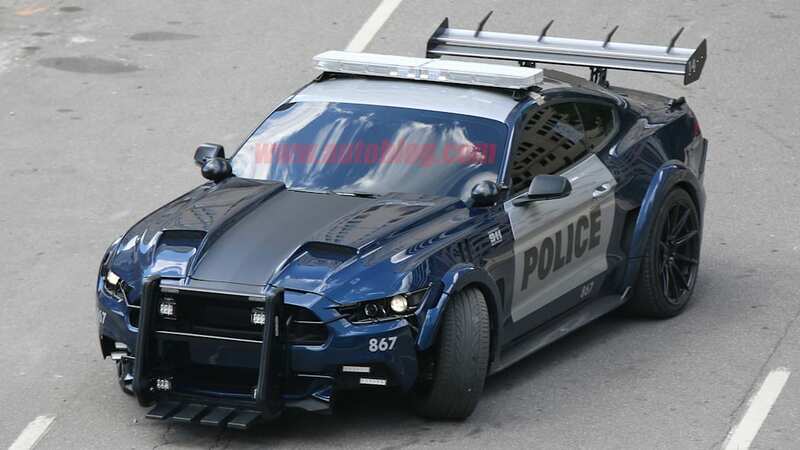 And since they'll be in a Michael Bay film, expect these cars/robots to be involved in some massive destruction as well.